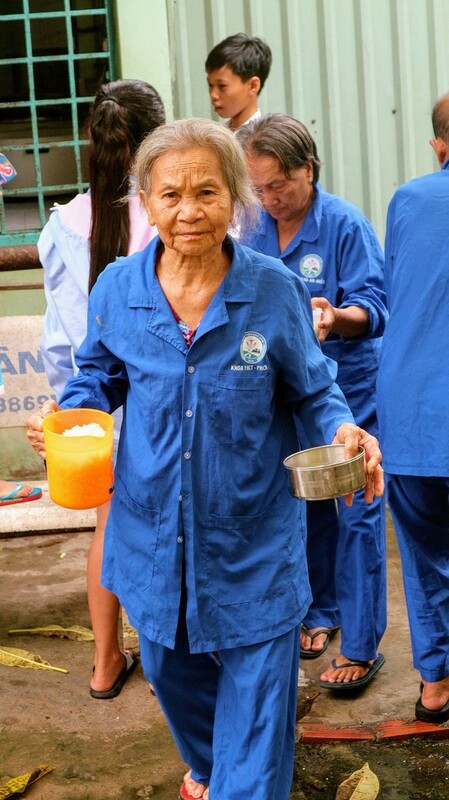 Every day from early morning members of the charitable kitchen of Nga Nam town’s medical center prepare a free serving of rice or porridge for poor patients under resident treatment at the center. The oldest members are more than 70 years old and the youngest are about 50. All are full of zeal. Each takes charge of one step. Huynh Thi Anh Tuyet, an experienced member of the kitchen, said helping patients in need brings happiness to everyone in the group. “I have 3 daughters. They are all married. My husband and I like to do charity work. He is in charge of delivering vegetables to the kitchen, while other members and I do the cooking. 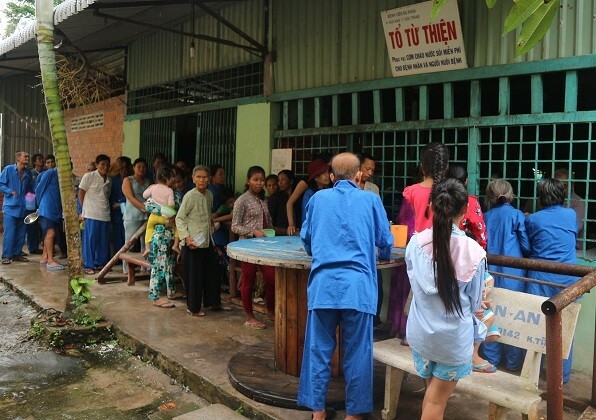 I’m happy if we can help the patients recover faster,” Tuyet said. The living standard in Soc Trang, particularly in Nga Nam town and in rural areas, is comparatively low. Medical costs are always a heavy burden for them. Each day up to 150 patients undergo resident treatment at the center. Most of them are poor or near poor. Established in 2009, the charitable kitchen now has 40 members, divided into 7 teams, who take turns cooking. They serve porridge in the morning, rice at lunchtime, and rice and vegetable for dinner. Boiled, filtered water is served round the clock. As many as 400 meals a day are provided to patients and their relatives. 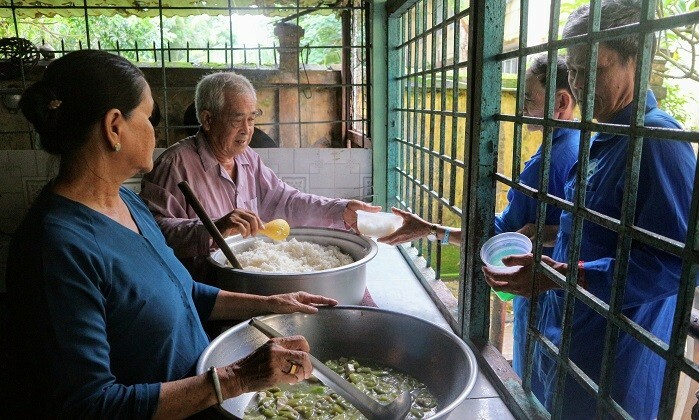 Nguyen Thanh Nhanh, the kitchen’s head, said the ingredients are provided by benefactors in Nga Nam town. The kitchen receives donations worth about 2,200 USD a month in the form of cash, rice, vegetables, and fruits.